Numerous locations of Toys R Us, including this one in London, are offering going-out-of-business sales. 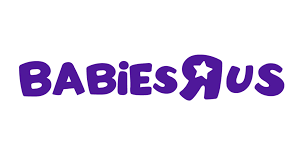 Toys R Us has informed employees that the company plans to sell or close all of its U.S. stores, according to a person familiar with the plans who spoke anonymously because the official liquidation filing has not been publicly disclosed yet. The person did not say how long the wind-down will take but said the shutdown will not be immediate. The chain employs more than 30,000 people in the U.S. and includes Babies R Us stores. Toys R Us has struggled with a heavy load of debt inherited from a 2005 buyout, as well as intense competition from Walmart, Amazon and Target — made worse by disappointing holiday sales. The chain — whose history traces back to a post-World War II baby furniture store — has spent many decades as the country's largest dedicated toy emporium. In 2017, Toys R Us accounted for roughly one-fifth of toy sales in the U.S., according to Jefferies analyst Stephanie Wissink. But in recent years, Toys R Us has found itself amid a trifecta of demographic and social changes, Wissink says. Today's parents are the millennial generation who grew up with the Internet and approach purchasing decisions and time they spend with children differently from baby boomers. Generally, foot traffic is falling at brick-and-mortar stores. And children are playing differently than they used to decades ago. "Kids are generally happily scheduled many nights of the week," Wissink says, "so the ability to devote dedicated time to play is being constrained." They spend more time on activities and with electronic screens, she says. Wissink also points out that the toy business is seasonal — three-quarters of sales take place during the holidays. This has weighed on Toys R Us, especially in the face of massive pressure from Amazon and Walmart. Without Toys R Us, Wissink estimates that 85 percent to 90 percent of the shopping that would normally happen at the toy chain would shift to other retailers. "What I worry about are many, many small companies," she says — toymakers not big enough to negotiate deals with the giant retailers, but which have relied on being discovered by Toys R Us shoppers. "Many of those companies are likely going to be up for sale," Wissink says. At a Toys R Us store in Bailey's Crossroads, a Virginia suburb of Washington, D.C., numerous shoppers were turning up this week to spend their gift cards, worried about the impending closings. Mary Henely brought her son Thomas to buy some Lego toys. "I recognize that it's a sign of the times with online shopping, perhaps. But I think it's disappointing," said Henely, who said she shops at Toys R Us about once a month. Eunice Turner came to the store to buy in-line skates for her daughter. "It's sad," she said about the decline of Toys R Us. "In wintertime I look forward to going to Toys R Us, because this is the only place where kids can actually see toys and play — more than Kmart, more than Walmart and all those places. This is just meant for kids." The company has been laden with $5 billion in debt — a relic of a 2005 leveraged buyout. Private equity firms Bain Capital and KKR, together with real estate investor Vornado Realty Trust, took over Toys R Us and loaded the company with debt. For years, Toys R Us paid a hefty interest fee. Meanwhile, the chain lagged further behind in technology and online sales strategy, while missing the mark on some major investments, such as licensed Star Wars toys and Lego movies. When Toys R Us declared bankruptcy in September, the company said it would keep its stores open while it tried to regain financial footing. 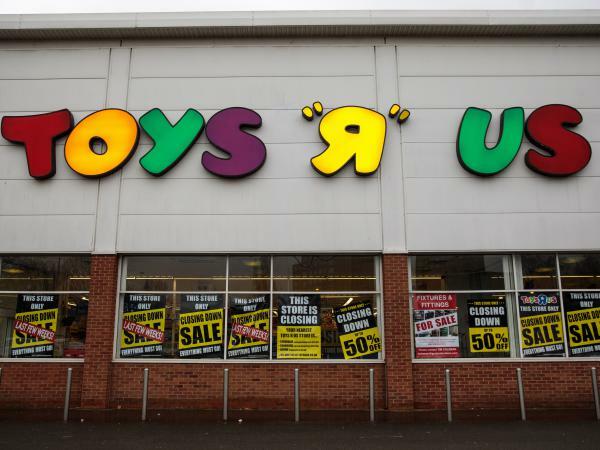 In January, Toys R Us announced plans to close almost 200 stores. While most retailers saw a boon from a perky holiday shopping season, Toys R Us faced what it called "operational missteps." According to The Wall Street Journal, Toys R Us owes a lot to the biggest toymakers: "Mattel and Hasbro are among Toys 'R' Us's biggest unsecured creditors. Mattel is owed more than $135 million, while Hasbro is owed $59 million, according to court papers."